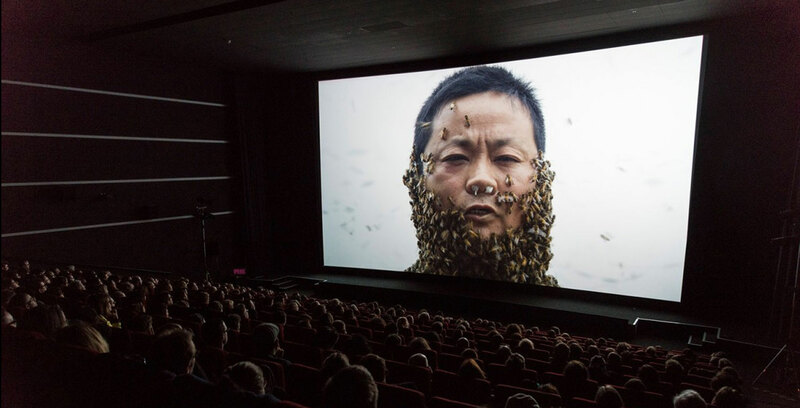 YúYú is based on a true story of a Chinese beekeeper, who performs a rite of spring to recover the environmental balance of the Yangtze Valley in Chóngqìng, China. Throughout this journey, Shé Zuo Bīn, enters a trance with nature. In the beginning there is nature. Landscape footage of the “Five Dragons” in the Yangtze Valley, the third-largest river in the world, a Unesco World Heritage site in the Chinese province of Chóngqìng, is coupled with views of the gigantic city of Chóngqìng, which resembles a juggernaut and dominates the valley. 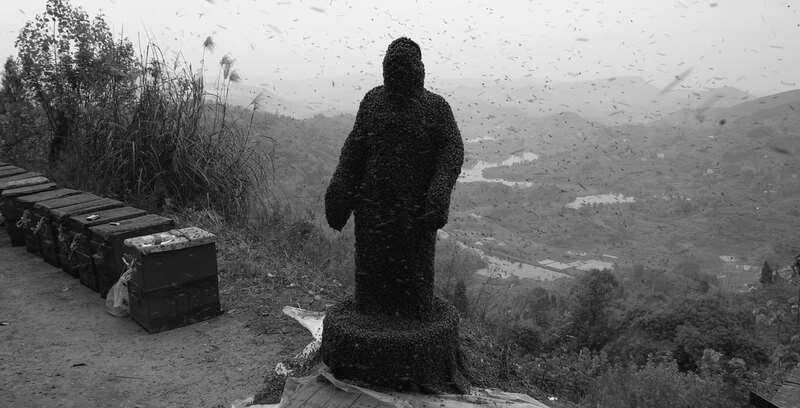 The beekeeper Shé Zuŏ Bīn performs a traditional rite of spring on one of the rocks. He allows queen bees to be placed on his body who then summon worker bees. 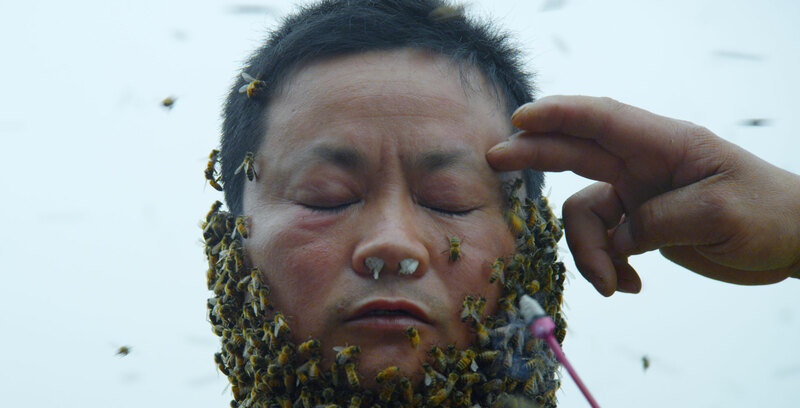 By the end, Shé Zuŏ Bīn’s body is entirely covered by bees. In a kind of trance, he stands utterly still. The buzzing of bees dominates all. He trusts the bees completely, and for a moment they lose all that is dangerous, terrifying. They are a protective shield. 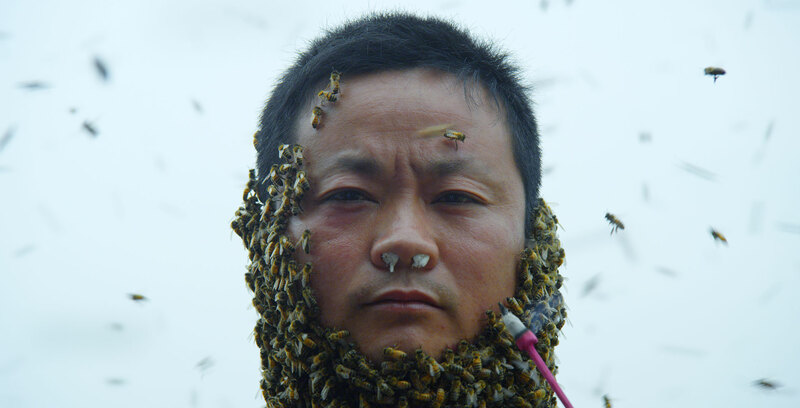 YúYú is a short film devoted to the rite of spring performed by Shé Zuo Bin, a Chinese beekeeper, who enters into a trance-like state with his bees. The visual capture evokes as much a “living sculpture” as a “social” one, a “performance” in the tradition of body art. Positioning a primordial alliance between humans and nature, the film questions the essential stakes of our planet: the survival of the bees as well as our ecological balance. 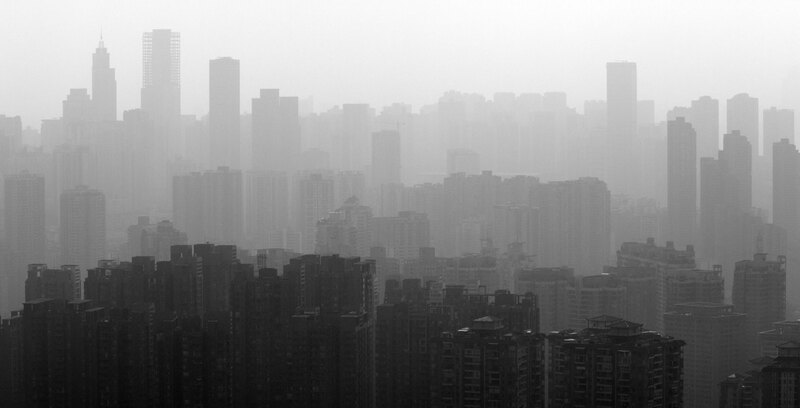 In Chinese tradition, man is a bridge between heaven and earth. Here, the human being becomes a living interface, highlighting the elements we are composed of as “co-habitant” of planet earth. 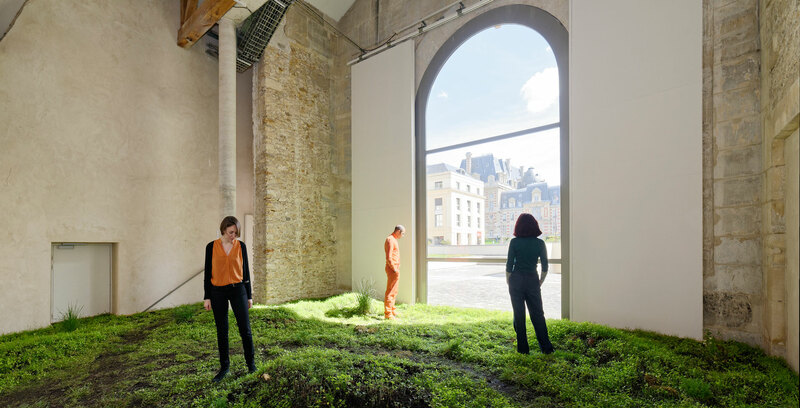 These fields of tension between art and nature create a correlation between the two disciplines, where Marc Johnson puts himself onto an onto-phenomenological level in order to experience this connection of “being-in-itself” with other species. 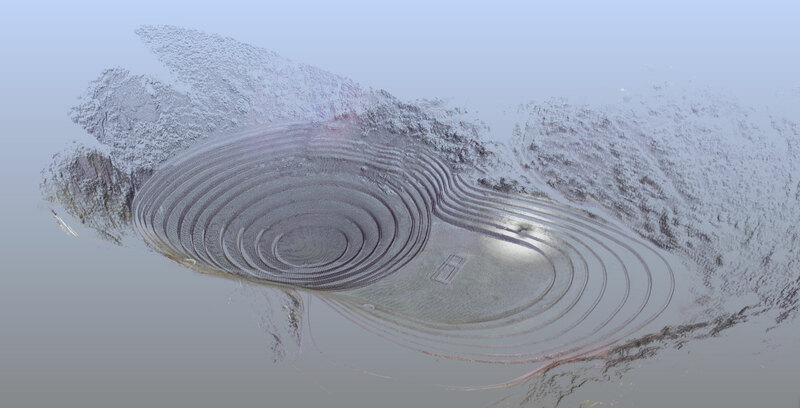 The link between nature and culture is no longer thought in the dominant verticality of mankind, but as a horizontal relationship where all beings are considered equal. Text: Jeanette Zwingenberger, art historian, critic.